Holiday ham is a favorite this time of the year. Even accomplished cooks get stymied when it comes to knowing whether they can freeze the ham bone after dinner for future use. The answer is a resounding yes. Ham is the gift that keeps on giving because you can freeze the ham bone and use it later to make soup, stock, or ham broth. And, while you could make any of those items within a few days of serving the ham, it takes the pressure off to freeze the ham bone and deal with it later. Keep your ham refrigerated at all times. Follow the guidelines for meat leftovers from the U.S. Food and Drug Administration, and freeze leftover ham (and the ham bone) by the third day after it has been cooked and served. 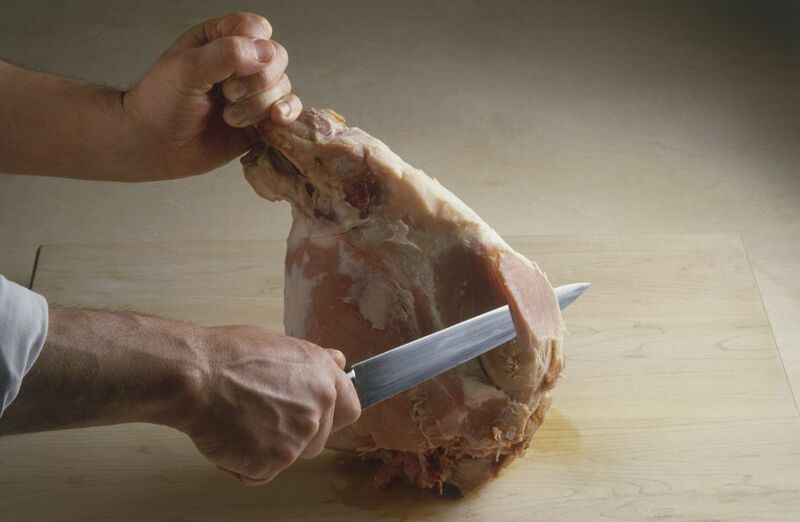 Cut the remaining ham from the bone and freeze it separately for use in other dishes. It's okay if you aren't able to get all the ham off the bone. It'll add flavor to your soup or broth. Place your ham bone in a freezer bag and make sure the top is well-sealed. It's best to use a vacuum bag to get all the air out and ensure freshness. Just be sure the bag isn't punctured by any of the sharp edges remaining on the bone. Label the package "Hambone" along with the date you're freezing it. This is where a black Sharpie comes in handy. When you write the name and date, be sure they're legible because it'll be impossible to guess exactly what it is and whether it has been in your freezer for months or years. Place the ham bone in the freezer with enough space around it to ensure it freezes quickly. Not leaving enough space around a frozen product is the No. 1 mistake most cooks make. For best results, try to use your frozen ham bone within three months. There may be some loss of flavor if you keep it longer, and any bits of meat and cartilage remaining on it may get freezer burn or dry out. When you're ready to use your ham bone, let it defrost in the refrigerator overnight before tossing it into the pot with the other ingredients. Otherwise, it is basically a large ice cube that will interfere with the proper temperature needed to ensure that all of the food in your pot is free of bacteria. Is a Ham Bone Dangerous for Dogs? The U.S. Food and Drug Administration advises against giving a ham bone (or bones from roast beef for that matter) to your dog after the holiday feast. There are risks associated with feeding dogs ham and roast beef that include choking, blockage of the digestive tract, vomiting, diarrhea, and wounds to the mouth. A cooked bone may be brittle and shatter, and the shards could cause serious problems. If you decide to discard the ham bone before (or after) you freeze it, make sure it is tightly covered in a bag or other container before putting it in the trash so that your pet can't get to it.